A smartphone is a big investment and you may well wish to protect it with an insurance policy. But insurance policies can be difficult to understand with many people either paying far too much for the cover or worse still not actually having the type of protection they thought they did, and only finding out when they try to make a claim. For many people their phone has become the most essential gadget they own. They are used to store all our contact details, photo's, appointments and emails. In a recent survey most people said they would consider the loss of their phone to be much worse than losing their purse or wallet. If you have an expensive handset on a typical two year contract then losing that phone through either damage or theft can prove very expensive. You would have to pay for a replacement handset to continue benefitting from your contract or forfeit your phone and just pay out the remainder of the contract - not something most people would be prepared to do. 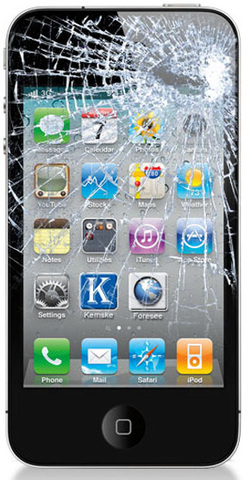 Cracked screens - often from dropping and from sitting on the phone if left in a back pocket, larger screens are more fragile. As smartphones have become more expensive and desirable they have also become much more attractive to thieves. Last year over 700,000 mobile phones were stolen in the UK with children under 15 years of age being the commonest target. Okay so it is easy to see that having phone insurance could be a good idea but how do you choose the right policy? What can you be covered against? Breakdown - most phones are only covered by a one year warranty, but most contracts are for two years so this is useful for cover in the second year. Most likely not necessary in the first year. Many mobile phone insurance policies will not include 'loss' cover. Without this you cannot claim if you accidentally lose your own phone which in real life is quite common. Every year thousands of phones get left on public transport, at restaurants on the beach and numerous other places. They have not been stolen so there has been no crime committed and you can not make a claim as a theft. This is why 'loss' cover should be considered as essential and not an optional extra. You must notify your mobile network operator and get your phone blocked so the thief cannot continue to use it. You should make sure that your phone has some security settings activated so that it not be used by anyone just picking it up off the street. All modern mobiles have either PIN code security or pattern recognition and the latest smartphones are now coming equipped with fingerprint recognition. Whenever you make an insurance claim there may well be a standard excess charge which you will have to pay. An excess is basically your contribution to the insurance claim on top of any premiums already paid. Many smartphone policies have a standard excess of £50 which rises to £75 if the claim is for a complete loss. It stops people committing insurance fraud where they may take out a policy already planning to put in a quick claim. Most insurance policies for mobile phones have a lag period of about 14 days before the policy becomes active. This means that the first 14 days of policy premiums gives you no protection. Again the insurance companies do this to protect against people trying to commit insurance fraud by taking out a policy for an already damaged phone. When do you not need insurance? If you have a contract with a relatively cheap handset it is arguable that you may not need insurance because the cost of replacing the handset would not be that great. Tip - as a rule of thumb if the cost of a new handset is less than 18 months worth of insurance premium then you probably do not need insurance. Tip - there is little point in paying for breakdown cover in the first 12 months with a new mobile phone because this will be covered by the manufacturers warranty. The easiest way to insure your mobile phone is to take out the phone shop policy offered to you when you buy the phone or take out your contract. If you would need an immediate replacement if you lost your phone then this may be suitable, but beware that it will probably be the most expensive option. You could add it to your existing home insurance policy - this can work out very cheap - you must make sure that it will cover you against all the necessary risks including 'loss' and beware of the excess charged. One drawback for this option is that you are far more likely to have to claim for a mobile phone loss than you would for a general household insurance loss and this may then affect your house insurance premiums for many years to come. Some high street banks offer 'bolt on' insurance bundles for their current account customers. These generally work by you agreeing to pay a set monthly premium (commonly around £10). The insurance bundle often includes mobile phone cover for one or more handsets kept at the same home address as well as other covers like car breakdown and travel insurance. If you would need all of these policies separately then they can make sense and offer really good value but make sure you carefully read the small print and make sure that the phone insurance offers the level of cover you need. A specialist phone insurer will cover your phone. These can be good because they understand the product very well and if you choose carefully can offer very good cover. They are generally much cheaper than using the phone shop or network insurance product. 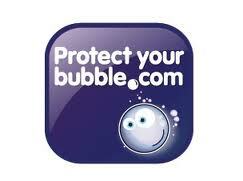 Tip - based on cost, level of cover and excellent customer feedback we believe that 'Protect your Bubble' offer the best insurance product currently. You can obtain a quote for your exact make of phone here.